"Home of The Dog's Way Training Program"
The Dog’s Way Aggression Issues Program. Imagine if you could enjoy going for a walk again without worrying about your dog’s outbursts? Well, now you can. Who is The Dog’s Way Aggression Issues Program for? The Dog’s Way Aggression Issues Program is for people who have dogs that are exhibiting aggressiveness for any reason. Aggression can be a perplexing and upsetting issue. 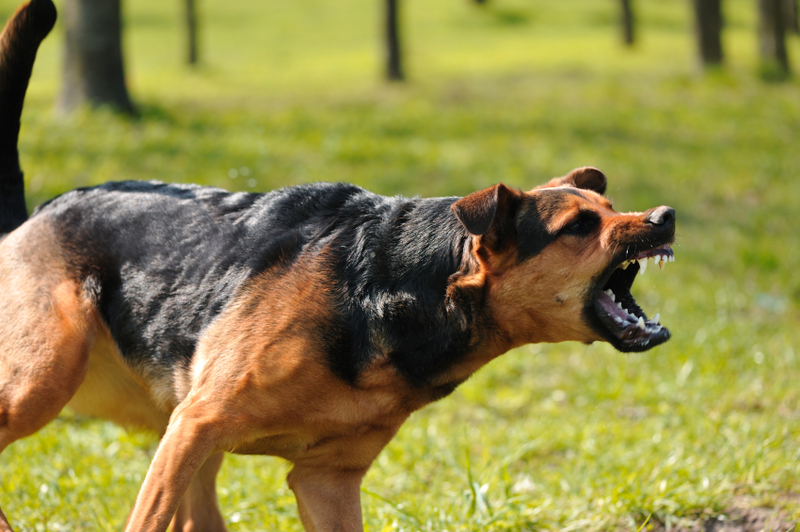 Our initial interview with you will go through a comprehensive checklist to determine if there are any contributing factors to the aggressivebehavior that you’re seeing in your dog. We want to be sure you’re ruling out medical or physical contributions to these displays as well as determine if there are other environmental factors involved in the behavior. Is the Aggression issues Program similar to the Basic Program? In a way, it is similar. Certainly, the underlying principles are the same. The aggression issues program does go on longer though so that we can expose your dog to their triggers in many varied contexts so that your dog gets the idea that those new rules don’t just apply to the training field or one park or your front yard. What does the program cover? The Aggressions Issues Program starts out with similar foundational work to the basic program. We start easy and begin building relationship right away. Then, we move on to developing basic core skills. After this stage, we differ from the basic course in that the focus after basic core skill building is re-introducing the specific triggers to your dog and begin working through the skill of “recovery” from stimuli. Some of this work is done through standard desensitization methodology and much of the work in this part of the program focusses on identifying marking “recovery” signals and encouraging that skill in your dog while they’re around their triggering distractions. How many lessons is it? The Dog’s Way Aggression Issues Program is 12 private lessons, at your location. The lessons take place over about 8 weeks. How much does the Aggression Program cost? Serving Seattle, Bellevue, Redmond, Woodinville, Sammamish and surrounding areas. Copyright © 2019 Seattle Family Dog Training. All rights reserved.